Eric Donald Hirsch Jr. (/hɜːrʃ/; born March 22, 1928), usually cited as E. D. Hirsch, is an American educator and academic literary critic. He is professor emeritus of education and humanities at the University of Virginia. In the 1960s Hirsch's Validity in Interpretation made an important contribution to contemporary literary theory and established him as "the founder of contemporary intentionalism," defending the notion of objectivity in humanistic studies and distinguishing between the "meaning" of a text, which relates to understanding and does not change, and its "significance," which relates to explanation and changes over time. In popular culture Hirsch is best known for his Cultural Literacy: What Every American Needs to Know (1987), and is the founder and chairman of the Core Knowledge Foundation. 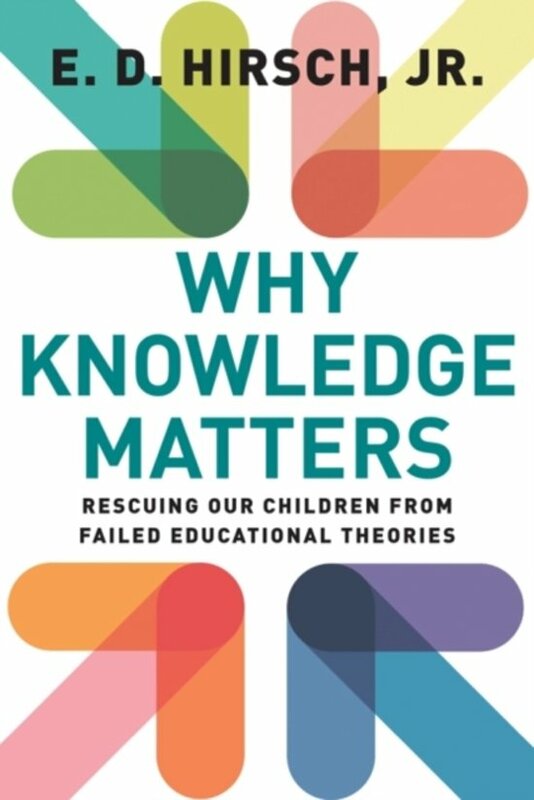 In Why Knowledge Matters, influential scholar E. D. Hirsch, Jr., addresses critical issues in contemporary education reform and shows how cherished truisms about education and child development have led to unintended and negative consequences. Hirsch, author of The Knowledge Deficit, draws on recent findings in neuroscience and data from France to provide new evidence for the argument that a carefully planned, knowledge-based elementary curriculum is essential to providing the foundations for children's life success and ensuring equal opportunity for students of all backgrounds. In the absence of a clear, common curriculum, Hirsch contends that tests are reduced to measuring skills rather than content, and that students from disadvantaged backgrounds cannot develop the knowledge base to support high achievement. Hirsch advocates for updated policies based on a set of ideas that are consistent with current cognitive science, developmental psychology, and social science. The book focuses on six persistent problems of recent US education: the over-testing of students; the scapegoating of teachers; the fadeout of preschool gains; the narrowing of the curriculum; the continued achievement gap between demographic groups; and the reliance on standards that are not linked to a rigorous curriculum. Hirsch examines evidence from the United States and other nations that a coherent, knowledge-based approach to schooling has improved both achievement and equity wherever it has been instituted, supporting the argument that the most significant education reform and force for equality of opportunity and greater social cohesion is the reform of fundamental educational ideas. Why Knowledge Matters introduces a new generation of American educators to Hirsch's astute and passionate analysis. Goeie, alternatieve boodschap in deze tijd van onderwijsvernieuwingen zoals onderwijs 2032. Zeker een aanrader. Wel even rekening mee houden dat het een wat taai en moeilijk leesbaar boek is. 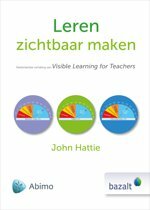 Vooral interessant voor docenten en andere mensen die belangstelling hebben voor onderwijs.